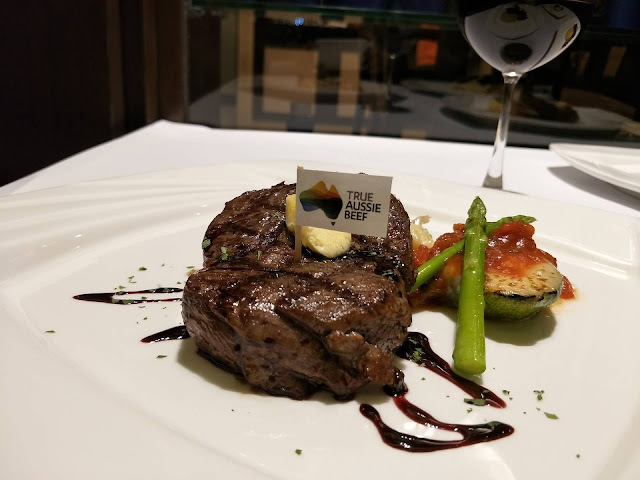 Now on its second year, the Australian Grass Fed Beef on the Menu is back and there are more restaurants participating this time and that includes restaurants from Cebu, Davao, as well as participating hotels. 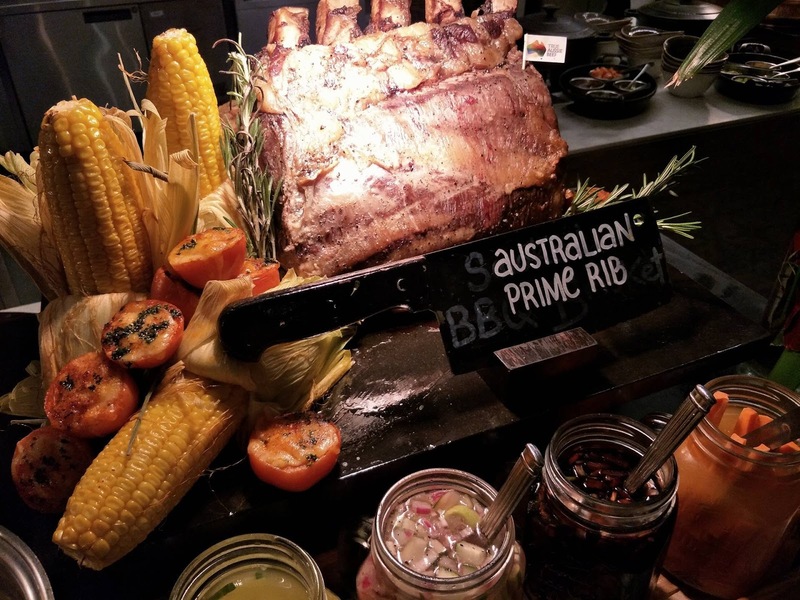 Ambassador Amanda Gorely, Australian Ambassador to the Philippines invites diners to delectable meals prepared using Australian grass fed beef. Australia is the leading source of grass fed beef and it is considered as a healthy beef because most of the country's cattle are grassfed. The beef is naturally low in fat and cholesterol, and has a high level of Omega 3 that is known to lower blood pressure. The Australian Grass Fed On The Menu is presented by the Australian Trade and Investment Commission (Austrade), the Victorian State Government, and Meat and Livestock Australia (MLA). The promotion runs from June 20 to August 20, 2017. 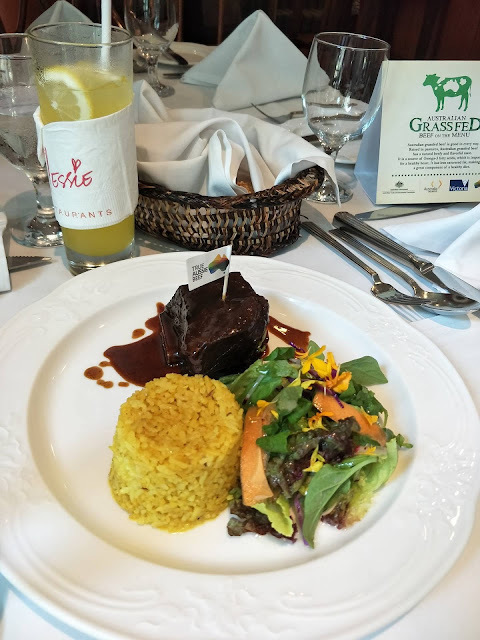 One of Chef Jessie's specially prepared dish was this Slow Cooked Grass Fed Beef Cheeks. 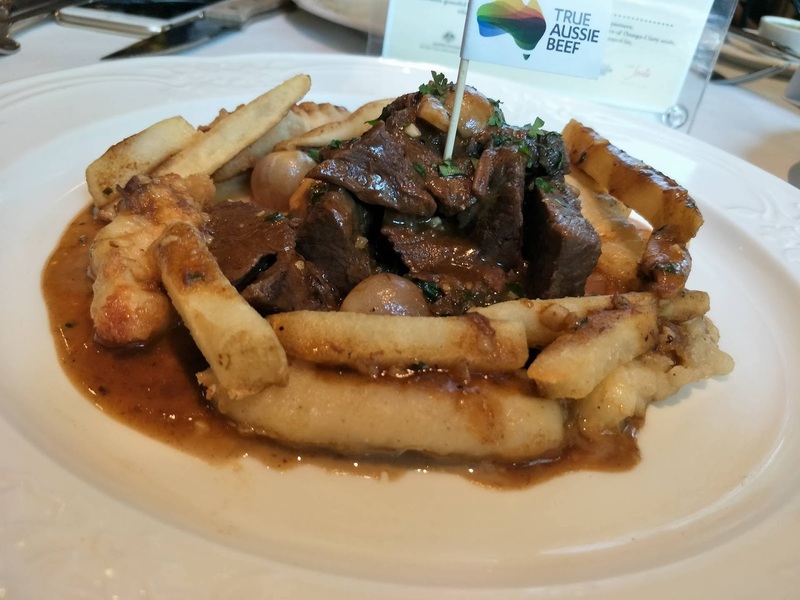 Taking inspiration from her recent trip to Canada, Chef Jessie paired beef cheeks with poutine, a Canadian dish of French fries, gravy, and cheese. But of course, Chef Jessie prepared it with her own special sauce and everything tasted delish. And the beef cheeks was so tender and flavorful. Australian grass fed steak tartare with French fries, and Australian grass fed beef carpaccio, rocket. parmesan, lemon and white truffle oil. 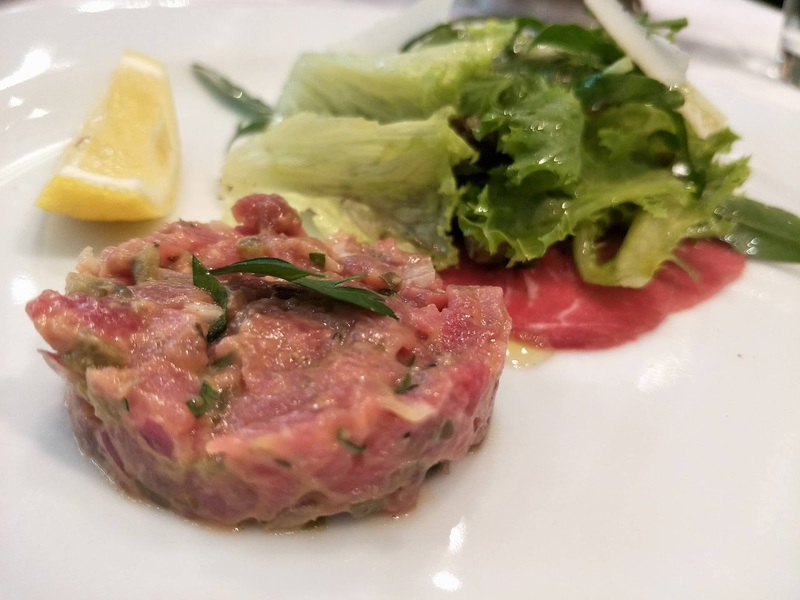 The carpaccio tastes very refreshing especially when you squeeze in some lemon, while the steak tartare tasted divine with just the right hint of Habanero that brings out the beef flavor in a delightful union of flavors. Lesso In Carpione. Chef Maurizio explained that this is commonly known to us, Filipinos, as bulalo meat. These are thinly sliced boiled short ribs with Italian vinaigrette, onions, parsley, and garden greens. Grilled Tenderloin. Perfectly "pink" steak that is perfect with Di Giorgo Family Cabernet Sauvignon. Saluti! The Pantry at Dusit Thani Manila offers a plethora of sumptuous dishes but the carving station is the undisputed highlight of the buffet. 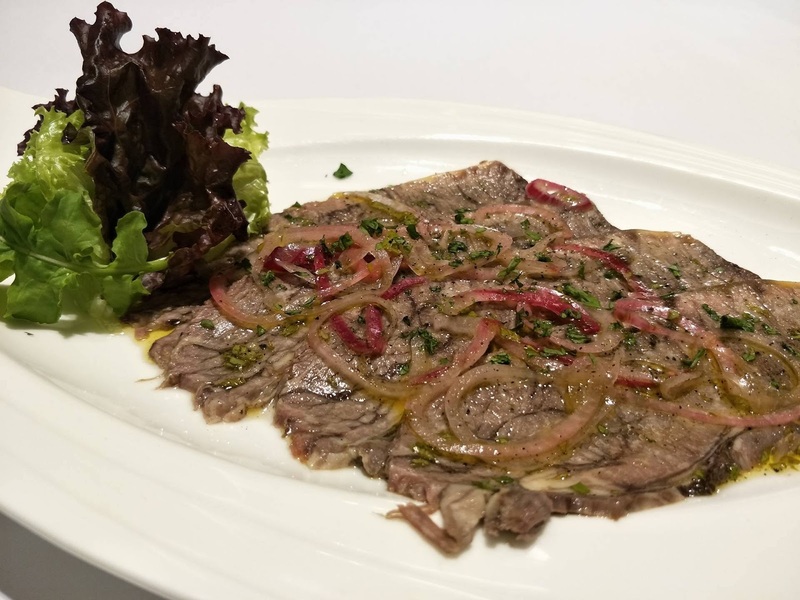 Dusit Thani Manila: The Pantry "Holy Cow"